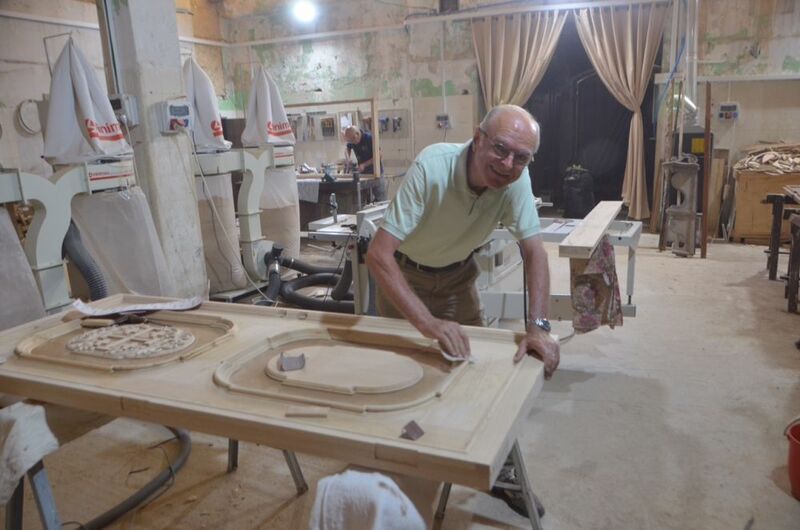 home / Multimedia / The Holy Land in news / The Association Romano Gelmini: a service to the people in the ..
“We do not do substantial work on infrastructures, but only simple and humble jobs. 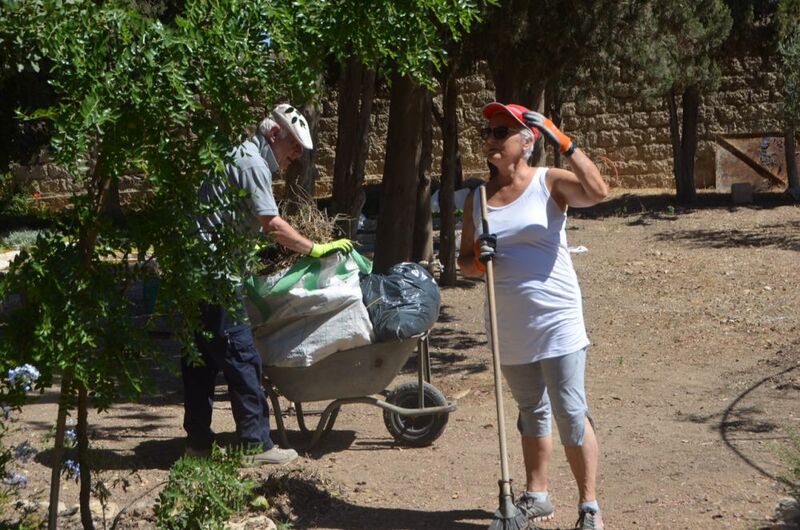 With some people we have also become friends and we are appreciated because – as they told us – we do not go to the Holy Land to tell the people what to do, but we support them in small needs “. Gabriele Casadei starts from here to talk about his experience with the Associazione Romano Gelmini, of which he is the president. “In 2006 Ettore Soranzo was called, by Fr. 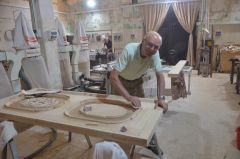 Pizzaballa that was then Custos of the Franciscans, to work for the Custody with the task of setting up a real technical office based in Jerusalem. On this occasion we follow him and to carry out our service with the Friars of the Custody, in the places entrusted to them for more than 800 years “. It all started this way. 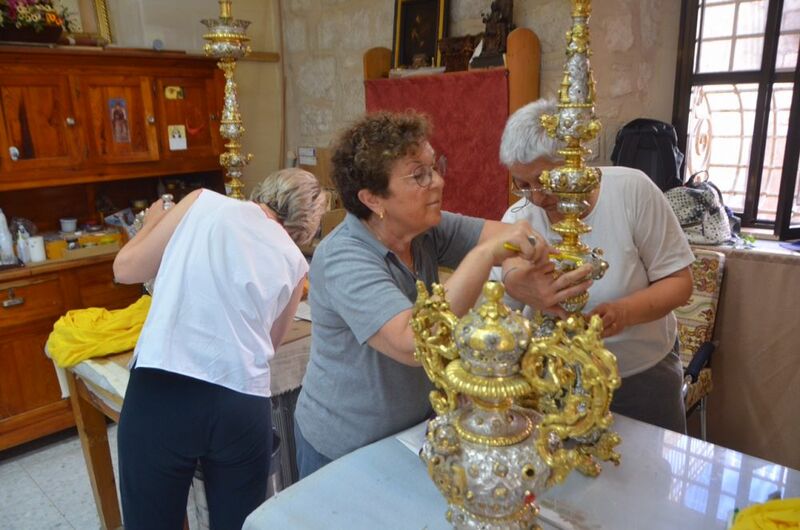 Since then, about eighty volunteers come to the Holy Land with us each year, to offer their time and energy to help the Custody of the Holy Land thorugh any useful work. These voulunteers want to offer their service in the same way the engeneer Romano Gelmini offered. He died suddently a few years ago, and the association carries his name. 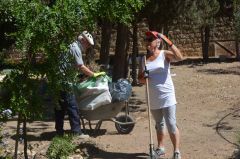 They usually travel divided into four volunteer shifts per season; some work in convents, schools, hospitals, while others repaint walls, set up electrical panels or dedicate themselves to carpentry and welding; then there are those who dedicate themselves to gardening, and others to the cleaning of the sacred furnishings or the Terra Sancta Museum. 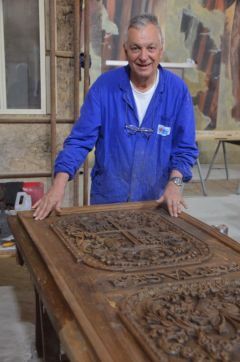 “In this – says Gabriele – even the friends of ATS pro Terra Sancta, with their commitment and activity, try to enhance not only places and archeology, but through the projects they address the locals, proposing to work, to help them regain the preciousness of their person, of their being thorugh work or projects, to help them take life in their hands “. For Mr. Casadei this is a very important aspect: “these testimonies more than others can make evident to the people of the Holy Land, that the teaching of Jesus is very current and we, in doing what we are doing, realize that we are not going to teach anything, let’s go and learn to love Jesus Christ more, which is the meaning, the ideal that our heart desires to meet, follow and serve “. 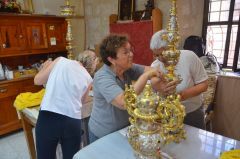 The testimonies of the volunteers who spend a few days in the Holy Land are enthusiastic: “It’s my fourth year here – says Adolfo Buffo – and every time I do not know what will happen. Sometimes I asked myself why I do it because you never know how your work will end up, but after all these years I have understood that you are doing it for yourself, to grow up yourself, not for an end “. Someone like Chiara came for the first time driven by a great desire to come to the Holy Land not as a tourist. “I wanted to know how life is here,” she says. 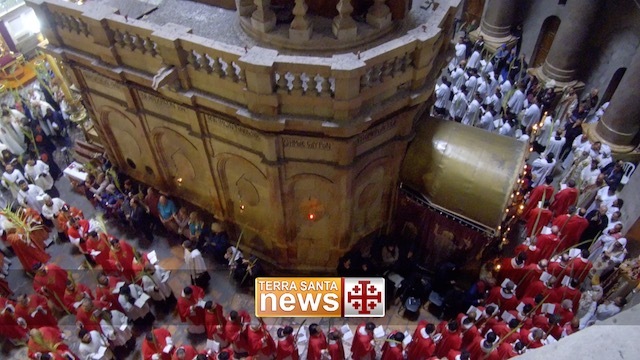 “I was struck by the fact that I walked where Jesus walked, and so working, praying and living together with people you don’t know in the Maria Bambina in Jerusalem [a welcoming structure of the Franciscans, for the volunteers ed], truly is an extraordinary experience”. “At weekends we have the opportunity to visit the the Holy Places ” she adds, “But the strongest experience is with people, friars, nuns and with those who live and work here”. Ido, was strongly struck by the experience at an orphanage in Bethlehem, the Hogar Niños Institute, while Adolfo from a school in Haifa. In the end Gabriele comments: “Today, after about 15 years of our initiative, many of us do not go to the Holy Land just for work shifts, but they also come back for short periods just to visit friends, to stay with them, as we do with friends in Italy, maybe to have a coffee, because friendship is one of the main facts that Jesus himself taught us, is a ‘treasure’, that when you find it you would not want to lose it anymore and you would everything to keep it and grow it. This has also struck many friends in the Holy Land who, despite being forced to live among the many walls that surround them, have discovered the ‘freedom’ of the heart, that no wall can ever suppress. It was impressive to find out that all this is true for us, not only when we meet friends in the Holy Land, but it is true because it is what every man’s heart desires for itself, in any situation or living condition, even at home. They are sorrounded by a reinforced concrete wall eight meters high, we have many walls, which are not made up of reinforced concrete but which are higher and denser and that prevent us from being free either, first of all our prejudices. For this reason we do not go to teach anything, we go to share the experience of a Treasure that was shown to us 2000 years ago and that needs to be rediscovered and kept now”.